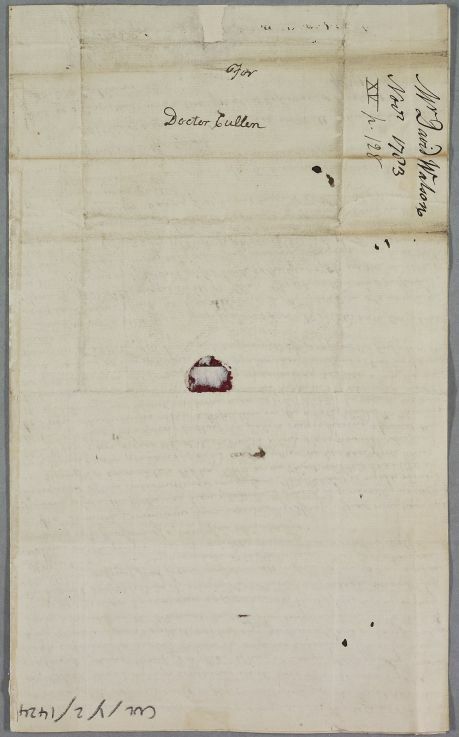 Letter from William Elliot concerning the case of David Watson, a schoolmaster. 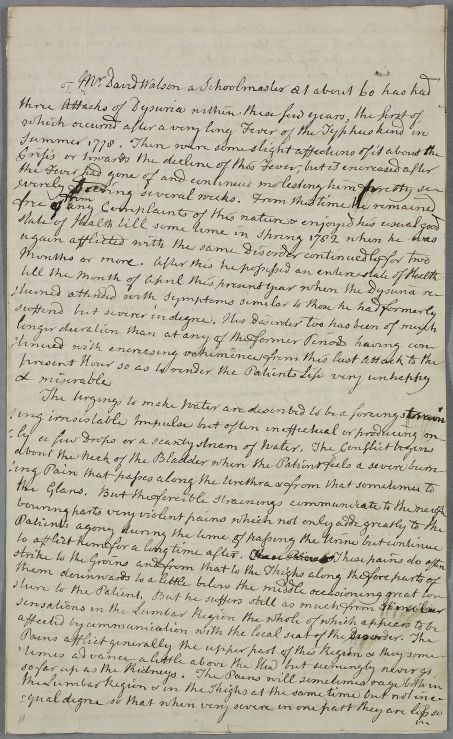 Mr Watson had suffered recurring bouts of dysuria ever since he had been afflicted with a 'Fever of the Typhus kind in Summer 1778'. 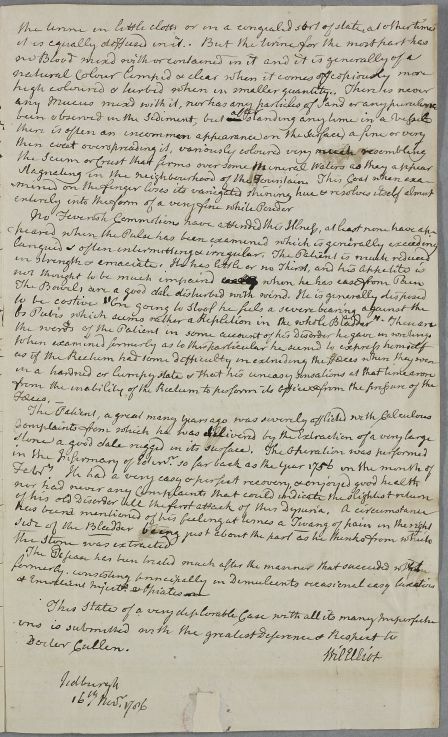 Summary Letter from William Elliot concerning the case of David Watson, a schoolmaster. 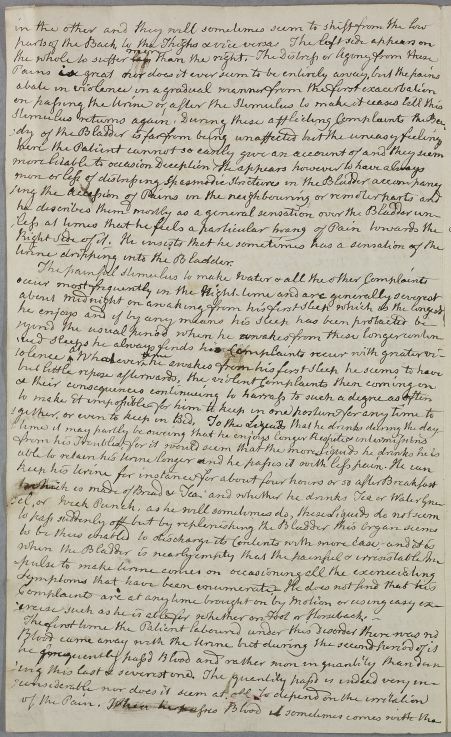 Mr Watson had suffered recurring bouts of dysuria ever since he had been afflicted with a 'Fever of the Typhus kind in Summer 1778'. Case of David Watson who has bouts of dysuria since recovering from a typhus-like fever a few years ago. Urine dripping into the Bladder. entirely into the form of a very fine white Powder. the words of the Patient in some account of his disorder he gave in writing.